A mum from Cardiff will be taking on the Cardiff Half Marathon to raise funds for Diabetes UK Cymru after her daughter was diagnosed with Type 1 diabetes. Amanda Lyon, 36, said her world was turned upside down when Emily, 5, was diagnosed with the condition in January. 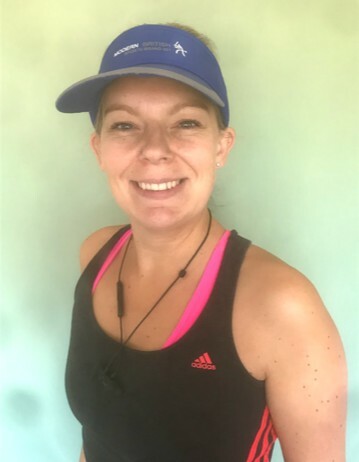 Now she is determined to complete the 13.1-mile challenge on Sunday 7 October to raise awareness of the condition and to fundraise for Diabetes UK Cymru. Diabetes UK Cymru’s Know Type 1 campaign aims to raise awareness of the symptoms of Type 1 diabetes, encouraging people to look out for the 4 Ts: toilet, thirsty, tired, thinner. Amanda said, “During the run up to Christmas Emily was very tired and drinking lots of water, but diabetes never crossed my mind. I took her to the doctor in January and thankfully they recognised the symptoms and gave her a finger prick test straight away. “Emily is already amazing at managing her condition, she finger prick tests herself and is even able to inject herself at school with a teacher’s supervision. Amanda only started running this year and this will be her first half marathon. Her friends and colleagues will be lining the route to cheer her on, while Emily, elder daughter Ruby and husband Stuart will meet her at the finish line. Type 1 diabetes is a lifelong condition that affects around 19,000 adults in Wales. People with the condition don’t produce the hormone insulin, which is responsible for controlling the amount of glucose in the blood. Nobody knows what causes Type 1 diabetes and it isn’t currently preventable. If not managed well, it can lead to devastating complications, including lower limb amputation, kidney failure and stroke. Joseph Cuff, Fundraising Manager, Diabetes UK Cymru, said, “People with Type 1 diabetes have to manage their condition every single day and having the support of your friends and family makes a huge difference.